The "all out war" is over. 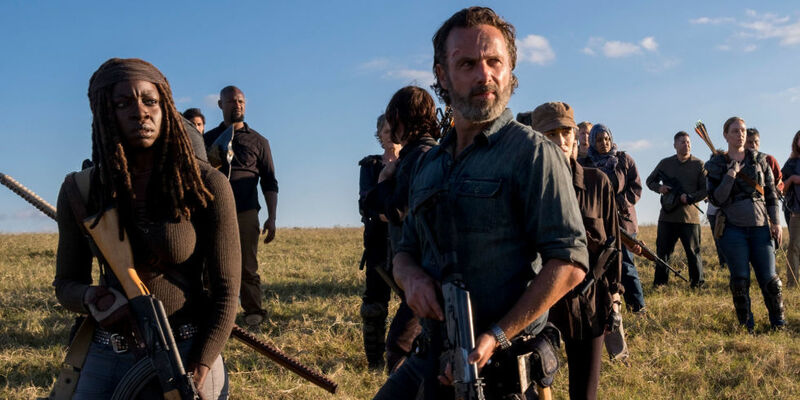 At long last, the “all out war” of The Walking Dead Season 8 is finally over, and the unthinkable has happened: AMC’s zombie show just followed almost exactly what happens in the comics. Negan laid a complicated trap for the good guys last week. Having finally learned that Dwight was a double agent all along, he used that to his advantage to get false information to the good guys. But thanks to Eugene making tons of bad ammunition, Negan’s plan literally blew up in his face. The final battle in the war wound up being pretty underwhelming as a result as two armies met on a huge hill, and the good guys were able to mop up what was left of Negan’s wounded soldiers. 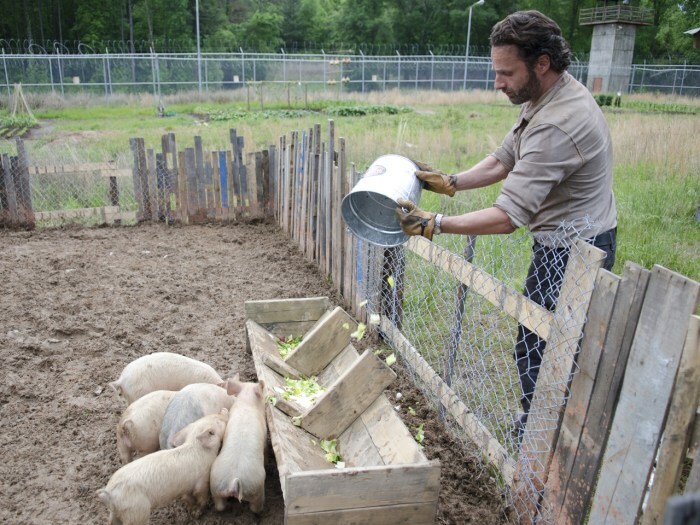 Remember when Rick just effing loved pigs on 'The Walking Dead'? Rick’s been consumed by bloodlust and rage for the longest time, and in the final minutes of the big battle, it looked like Rick truly succumbed to it all by slicing Negan’s throat. This might actually have been a slightly more interesting direction to take because Rick could have become the new demented villain that everyone else needed to take down. Instead, Rick did soften after reading his son’s final letter and coming to terms with the better world that Carl wanted. As such, we’re bound to get a much gentler version of Rick almost akin to how he was when they found some measure of peace at the prison. But of course, it’ll only be a matter of time before that’s shaken. 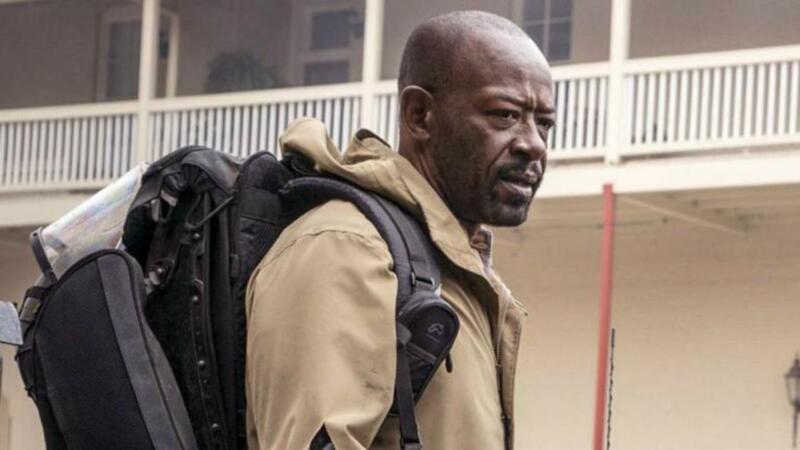 Will Morgan ever come back to 'The Walking Dead'? Based on how broken Morgan seems by the end of the episode, he might never come back. He hands all of his armor over to Carol and sets off on his own with nothing but normal clothes and his beloved stick. We know that he’ll migrate over to Fear the Walking Dead, but it’s unclear what his journey there might look like. For all we know, he’ll die before that first episode is done. Either way, it sure as hell seems like won’t come back to The Walking Dead. Will Season 9 jump into the far future like we saw earlier in Season 8? Fear the Walking Dead endured a huge time jump between Season 3 and 4, so you can’t help but wonder if The Walking Dead will do the same. It would feel almost natural if Season 9 looked a little bit like those flash-forwards we’ve been seeing throughout this season, albeit it probably won’t be that far forward in time. It’s worth noting that in the comics, there’s a two-year gap after the “all out war” ends. 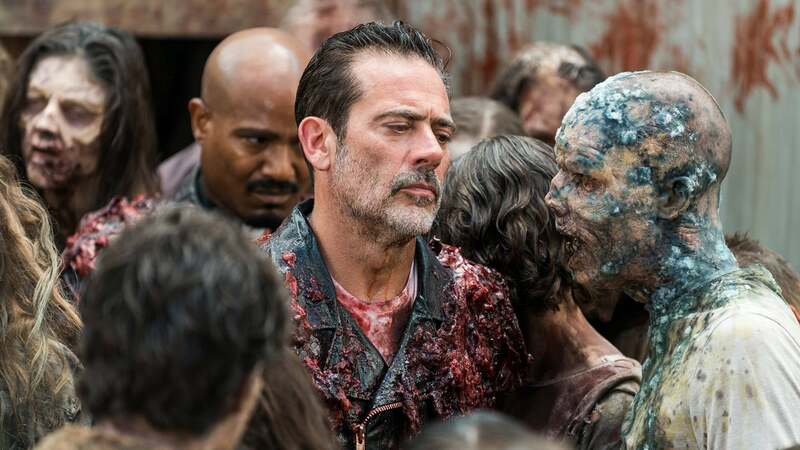 Negan's story is just about over on 'The Walking Dead'. Maggie's changed a lot on 'The Walking Dead'. Maggie, Jesus, and Daryl are all hella angry at Rick (and Michonne for some reason) for sparing Negan’s life. Like some kind of ridiculous supervillain, Maggie delivers a speech to them about biding their time as they rebuild society. But one day, they’ll “show him” exactly where he went wrong. What exactly does that mean? Maybe it means a very public execution for Negan in the Season 9 premiere after the aforementioned time jump. Maybe it’ll be Old Man Rick having to fight against Maggie for control over this new society. Either way, the next war on The Walking Dead might involve infighting.